Emmaline is a Yoga Alliance Senior Yoga Teacher with over 20 years continuous learning & teaching experience. 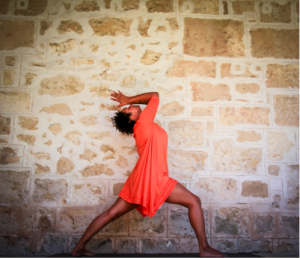 Her classes are a dynamic flowing style of yoga, harmonising breath & movement to give strength, grace & freedom. The class integrates the physical, psychological & spiritual aspects of yoga & includes hands-on adjustments, breath awareness, meditation and deep relaxation. The theme of each class is supported by the current season, eclectic music, readings, spoken word and references to yoga philosophy texts.